Based in Kenley, Surrey, we offer homeowners, commercial businesses and building contractors throughout the Kent, London, the South East and beyond with the very best in scaffolding design and installation services. Establish in 1987, we have brought the highest standards in safe scaffolding services for over 26 years and as such, are known as one of the region’s leading scaffolding companies. 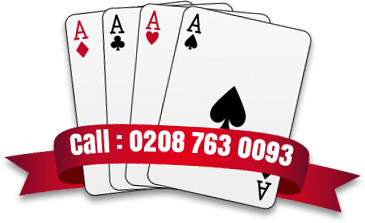 We provide a truly professional service that comes backed up by highly personalised, friendly and helpful customer service. We aim to develop and maintain long term relationships with people and organisations that know that using Ace Scaffolding Services Ltd guarantees you safe, reliable, effective and intelligent scaffolding design and installations at highly competitive prices. We offer a full range of scaffolding services, ranging from small local projects to major national work, and everything in between. We work for a diverse range of clients, including chartered surveyors, main contractors, property developers, schools, churches and local authorities who know they can rely on us to deliver 24 hour emergency scaffolding coverage for any scaffolding erection or temporary roof situation. One of the reasons why we consider ourselves one of Surrey's leading scaffolding companies is the experience, dedication and skill base of our customer-focused scaffolders. We maintain a tight knit team of highly experienced scaffolders, many of whom have been with us for over 15 years. We have absolute trust in them to deliver consistently high quality work that maintains the reputation we have worked so hard to build over the last 26 years. Based in Kenley, Surrey, we work throughout the region, as well as London and Kent, providing homeowners, commercial clients and building contractors with the very best in scaffolding design and installation. We have completed many challenging projects for customers in Bromley, Reigate, Tunbridge Wells, Crawley, Canterbury, Croydon, Guildford, Orpington, Sevenoaks, Medway, Maidstone, Dartford, Leatherhead and all London boroughs. Although the bulk of our scaffold erection and scaffolding design services are supplied to customers in Sussex, Surrey, Kent, London and across the South East, we will gladly welcome enquiries from anywhere in the country. If you have any further questions then please contact us today. 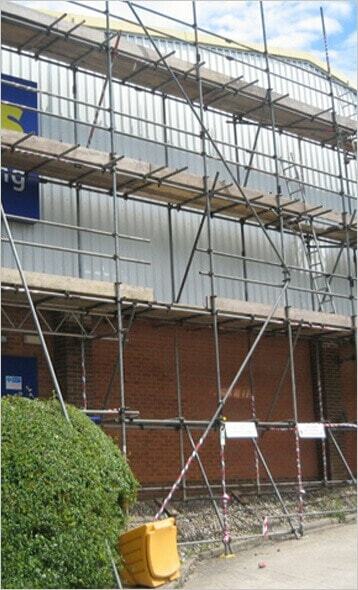 Members of our expert scaffolding team are always on hand to answer any of your concerns or questions.